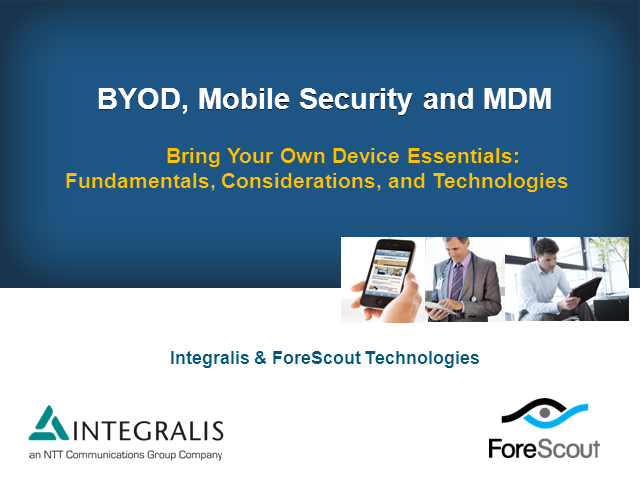 Bring Your Own Device (BYOD) is a disruptive trend in IT and security management. Organizations are seeking to enable personal mobile device use at the workplace without compromising security. This timely webcast covers the fundamentals, policies and technologies that can enable fluid yet policy-based control for users and their smartphones and tablets to access network resources and sensitive information.